Shine Control: Blend of water and sebum repellent powders keep skin matte and wonderfully fresh throughout the wear. High UV Protection: SPF 25, among the hightest in sun protection shields from skin darkening and PA++ for added protection. Instant Brightening: Infused with pro Vitamin C it instantly makes skin look brighter and more natural. Imperfections blend away: Ultra fine powders and coated pigments effortlessly cover spots for fair & even skin. Long lasting: Breathable and lightweight, make up stays true and even throughout the wear. Visibly smooth complexion: Silky soft texture glides to visibly even out skins surface for a smooth complexion. Conceal Blemishes: Blemishes are instantly concealed traceless. Skin looks flawless. Tone Perfection: Developed for Asian skin tone, each shade blends effortlessly all over a natural non cakey finish. Maybelline New York is the world number one cosmetics brand and is available in over 129 countries worldwide. 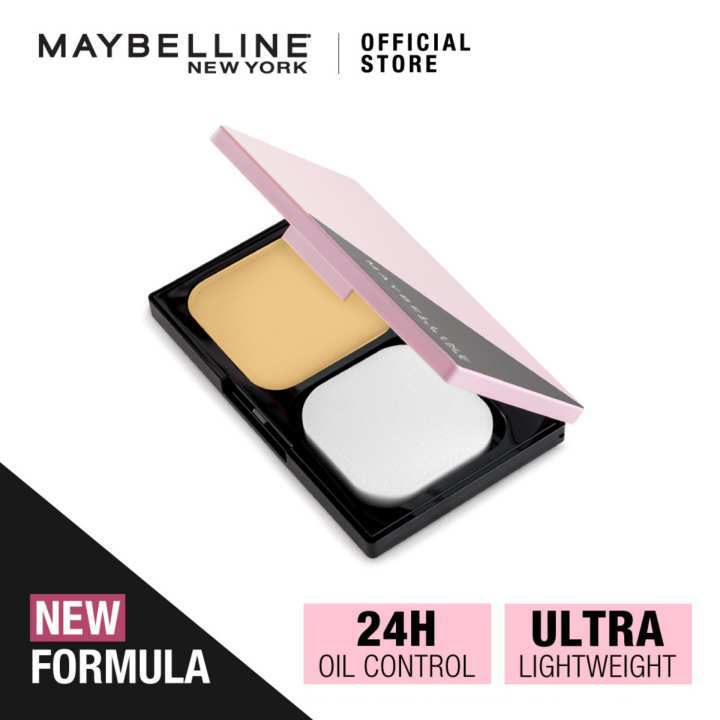 Offering more than 200 products, Maybelline New York combines technologically advanced formulas with on-trend expertise to create accessible cosmetics with a cool, urban edge and a spirited style. The signature of eye makeup, face makeup, lip makeup, nail polish, brush and accessories leads the youthful, flapper fashion trend of dramatic makeup. From a small, family-owned business to the number one cosmetics company in America, Maybelline New York takes empowers women to make a statement, explore new looks, and flaunt their own creativity and individuality. Inspired by confident, accomplished women, Maybelline gives you scientifically-advanced formulas, revolutionary textures and up-to-the-minute, trendsetting shades effortlessly, affordably, beautifully.